Walking inside, I found myself in a half-occupied small dining area (seating about a dozen people) with very simple, modest decor. The cooking staff and waiting staff all conversed to each other in Japanese and I had no clue what they were talking about (I don't really know Japanese), but they seemed to be having a good time. One of the servers greeted me in a friendly manner and I proceeded to look through the menu and at the signs around the restaurant to decide on what to order. 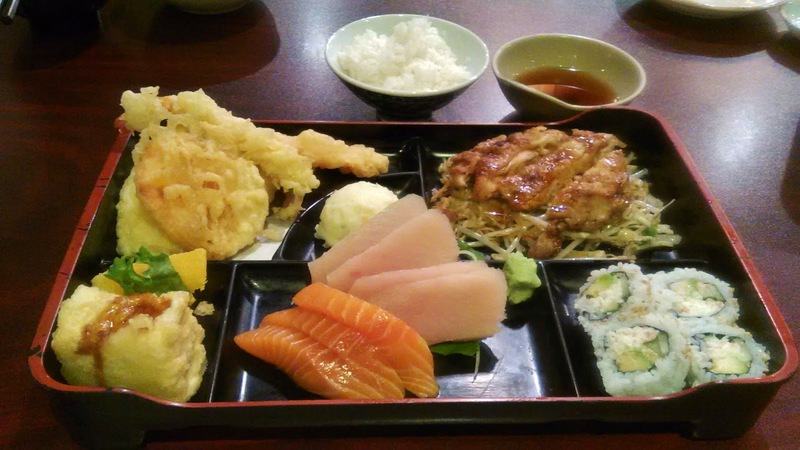 Behind me was a sign that said "Eel is nutritious and a lot of vitamins." Well, I guess I'll have eel then. 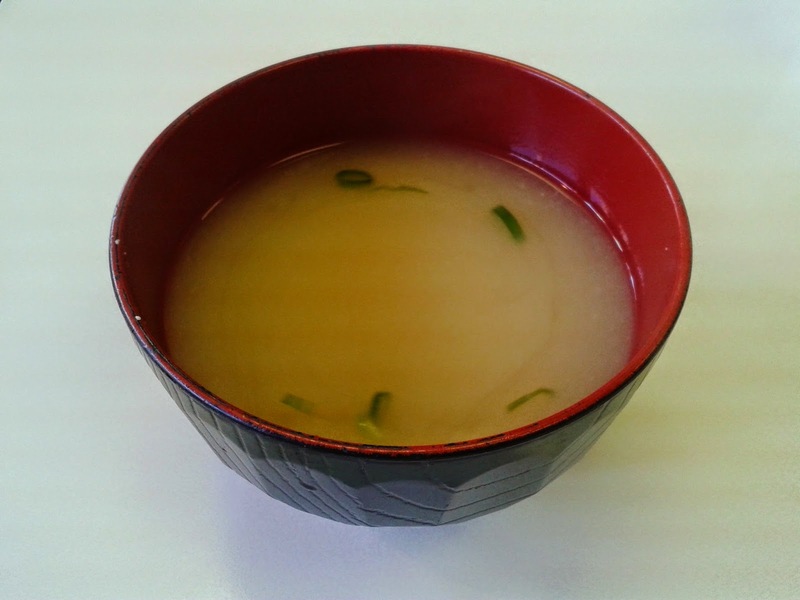 I was started with a complimentary Miso Soup, which was well-balanced and leaning towards the milder side. It was garnished with green onions and tofu and I liked how it was not too salty. 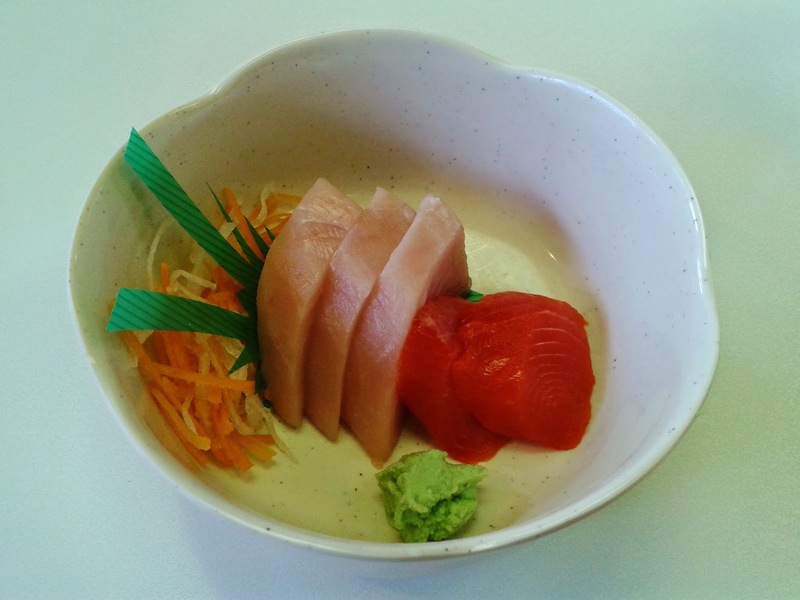 Next, I had the Appetizer Sashimi, which came with 3 pieces of tuna and 2 pieces of salmon. 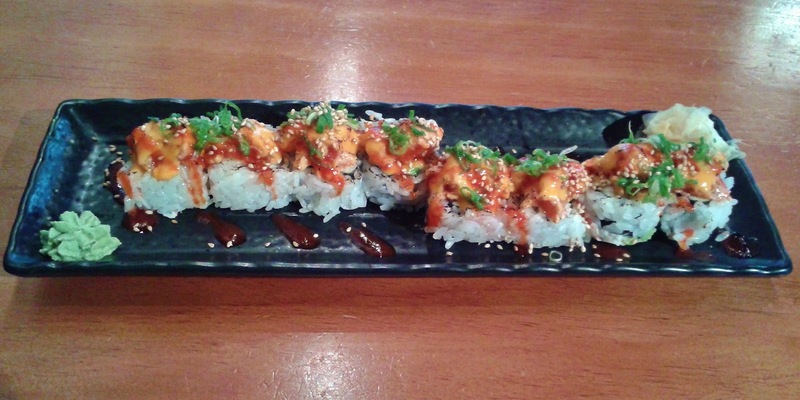 I don't know how this roll got its name, but here's my theory: The staff came up with an excellent idea for a new special roll but needed to decide on a name. They couldn't come up with any good names and someone in frustration yelled "What the hell!" Then, someone responded with "Oh, that's a great name!" I don't know ... or maybe they just liked hearing customers say "what the hell." The What the Hell Roll consisted of unagi on top, salmon and avocado. 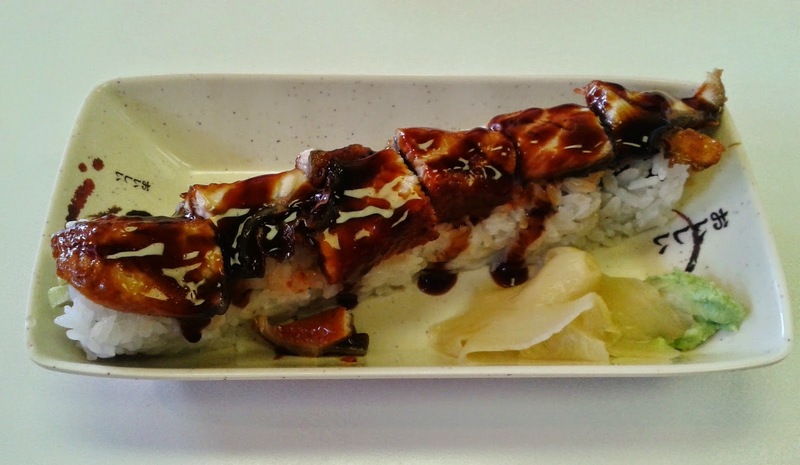 The unagi was tastefully grilled and was coated with a rich, savoury teriyaki sauce. 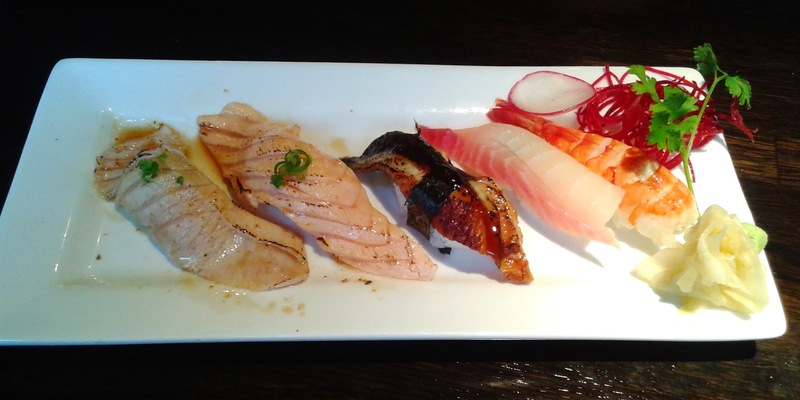 The salmon had a soft, smooth texture and had enough flavour to be noticed underneath the stronger unagi. 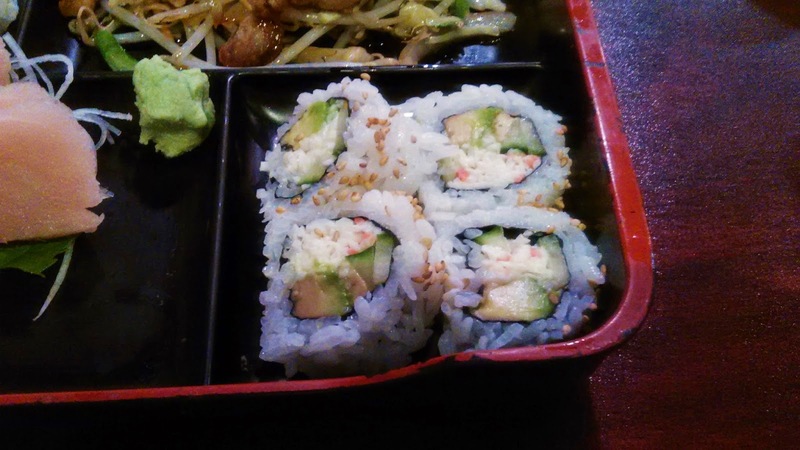 The avocado used in the roll was very fresh. 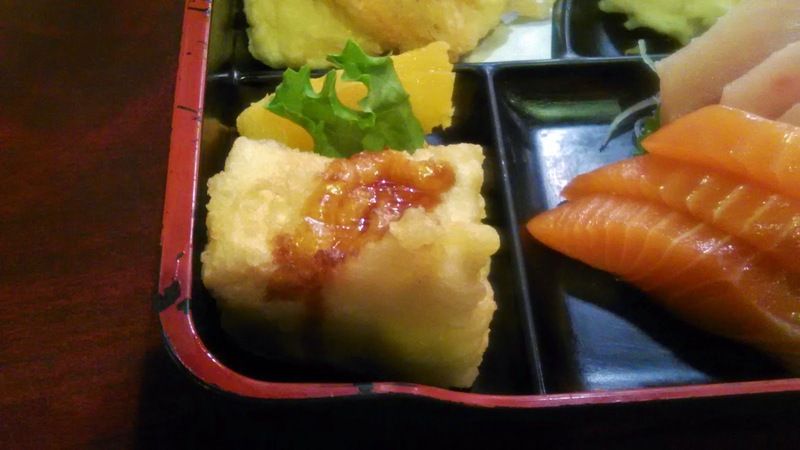 I don't really have any complaints other than wishing that the roll was served a little warmer. At this point, my phone battery died (even though it was at 62%). What the hell! Fortunately, the server gave me permission to switch tables and helped me move my food so that I could charge my phone in a nearby outlet while eating. 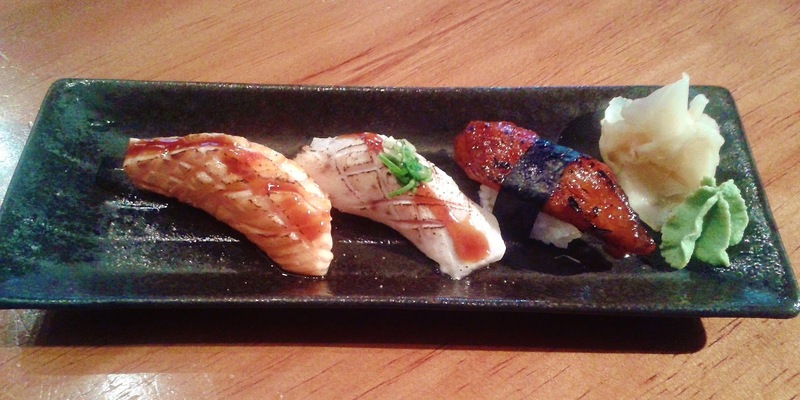 The Unagi Cheese Nigiri was a good example of clever culinary innovation. 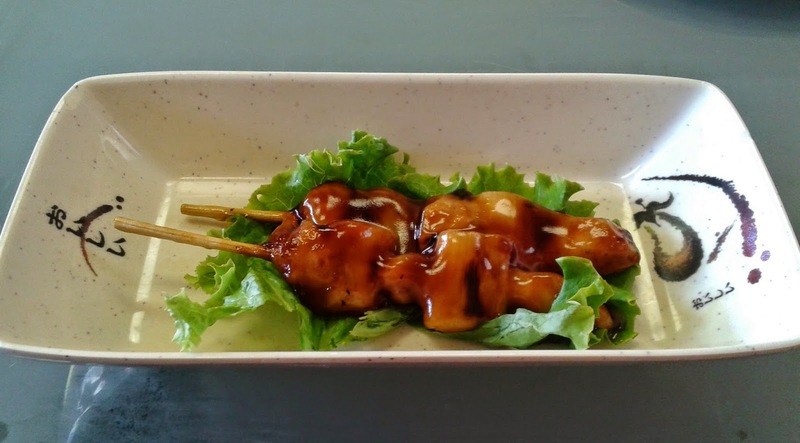 The small amount of cheese used on top of the unagi worked very well to accentuate the flavours of the unagi, creating an excellent warm, grilled and appetizing burst of flavour. 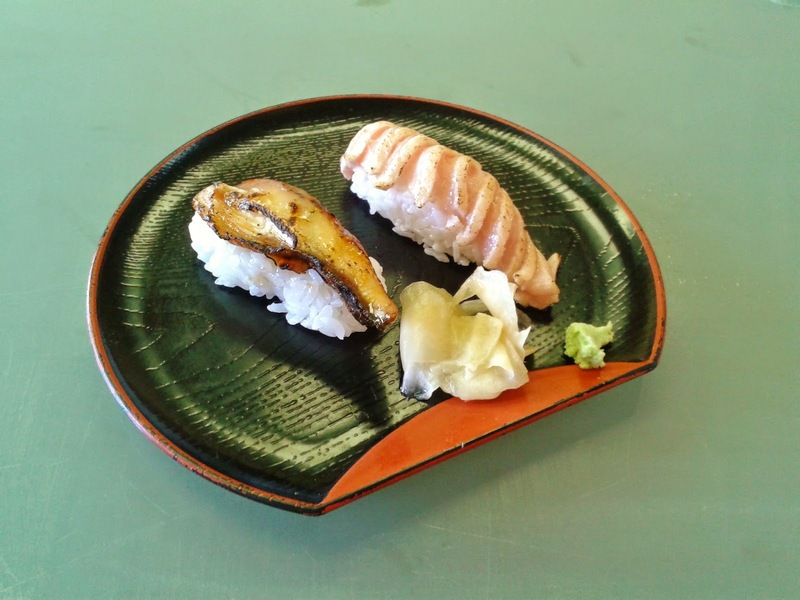 The Aburi Toro Nigiri was successfully seared with soft, melty toro on top of a bed of soft sushi rice. There was just a little too much rice under the toro, preventing the nigiri from achieving the optimal fish-to-rice ratio. 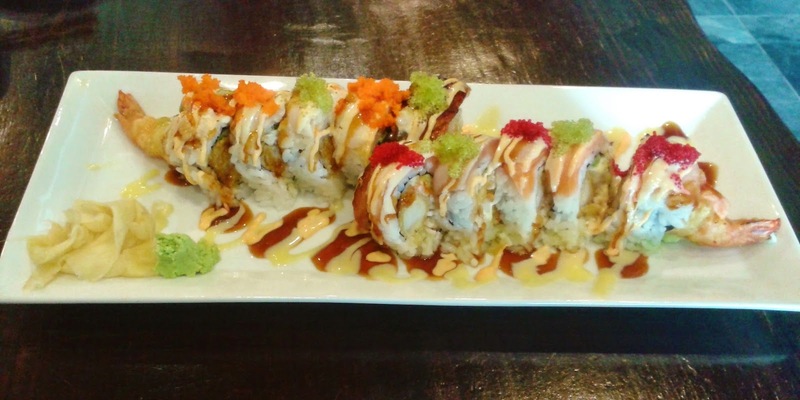 I wasn't really full after my initial order, so I decided to get one more item - the Dynamite Roll. 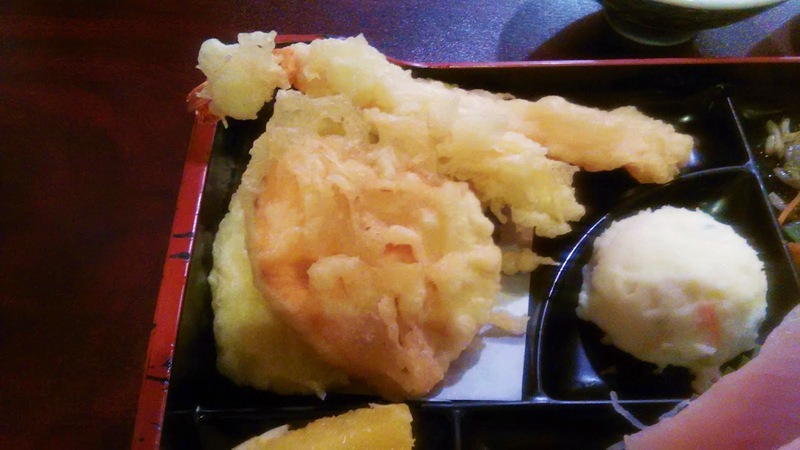 The tempura prawn in the Dynamite Roll was fried with a high-quality oil, so it was not excessively greasy. The prawn was served warm, while the surrounding rice was cooler. 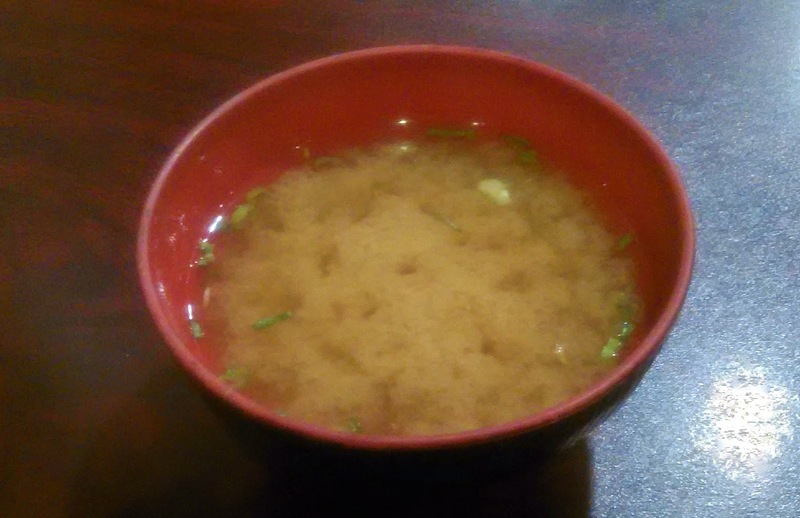 The rice was just a tad mushy (it was rolled with too much force) and the vinegar was a bit strong, making it stand out. I kind of expected Sakura Sushi to be a budget restaurant (based on its appearance) but it didn't take me long to realize that this was not the case at all. 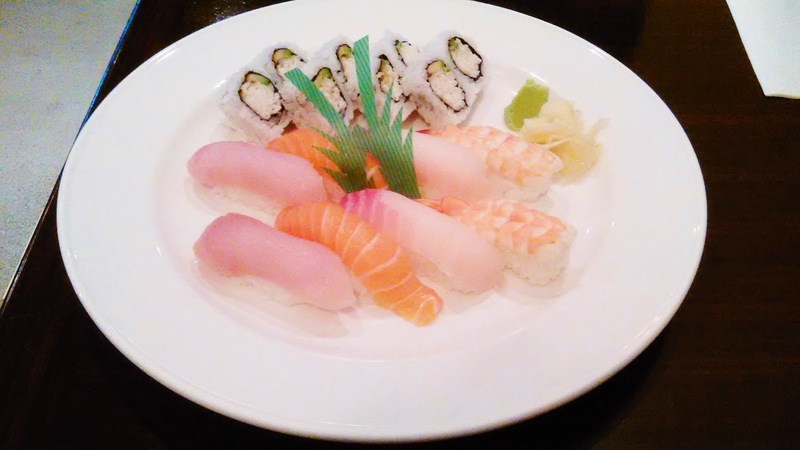 What sets Sakura Sushi apart from other sushi restaurants (aside from the fact that it's authentic) is the consistent use of high quality ingredients. 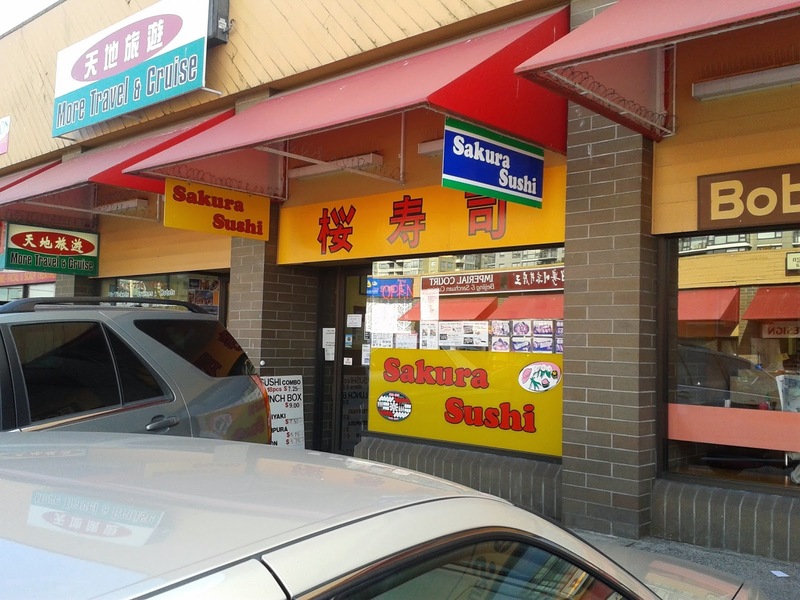 The quantity of food itself hardly justifies the price, but I guess they've tried to remedy this by offering a coupon on their website (www.sakurasushi.ca) as well as stamp cards. Too bad I didn't know about this beforehand! What the hell! Every time I look at a map of Richmond, I always assume that the area south of Granville Ave. is largely a residential neighborhood with little to offer in terms of food and shopping. After going there several times to inspect the area, I realized that there are plazas everywhere! 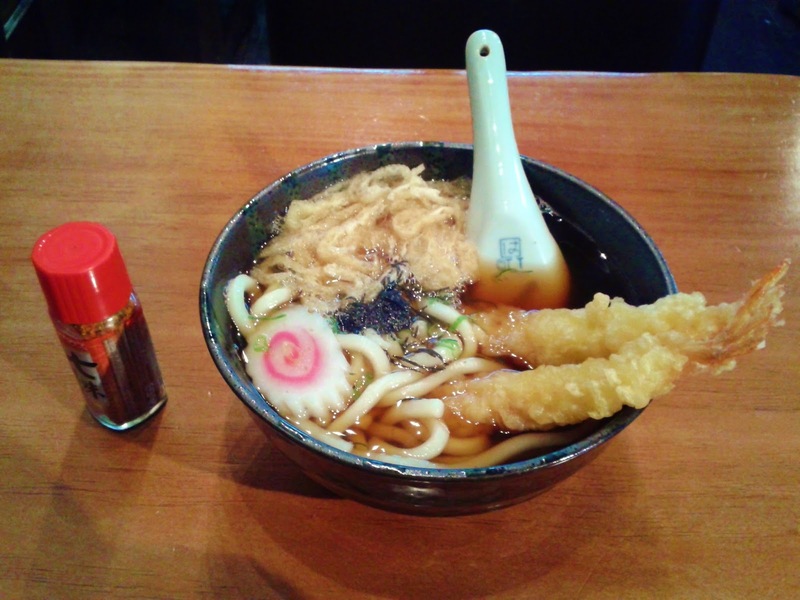 You can find everything from sushi restaurants to Safeway and Shopper's Drug Mart in there. Not to mention that there are 4 Subway restaurants among these plazas. The plaza on No. 3 Rd. and Williams Rd. seemed to be one of the newer plazas at first glance, and just a little over a month ago, Gami Sushi, a Korean-operated Japanese restaurant, had its grand opening there. 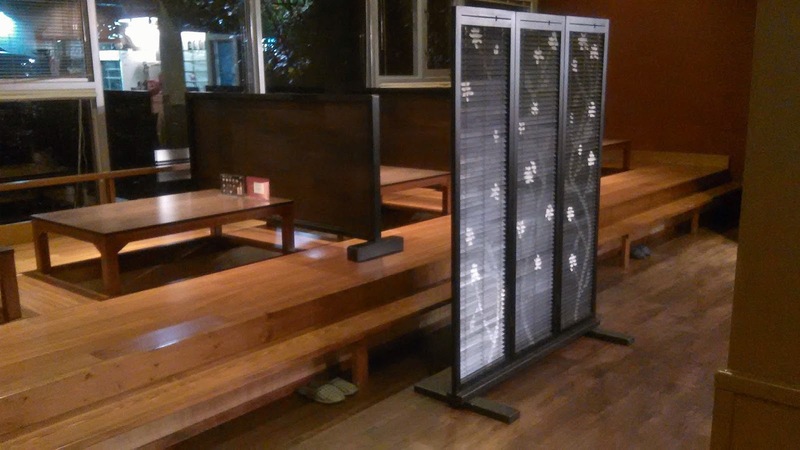 I walked into the restaurant to find clean, modern decor accompanied by soft jazz in the background. The restaurant seems small, but actually has a seating capacity of around 40 guests. 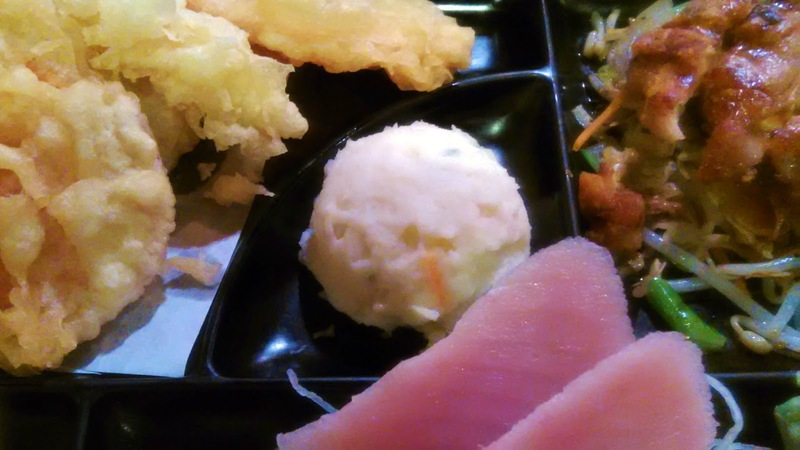 Despite their size limitations, they try to replicate an upscale Japanese restaurant, and their menu contains many unique items such as Coconut Crunch Salmon, Snapper Tempura Salad and the Super Lobster Roll. The Super Lobster Roll ($19.95) had a rather lofty price tag, so I had the less-pricey Oh GAMI Roll ($13.95) and the Lobster Motoyaki ($7.95) instead. I still get my lobster and it's an extra item for only $2 more. 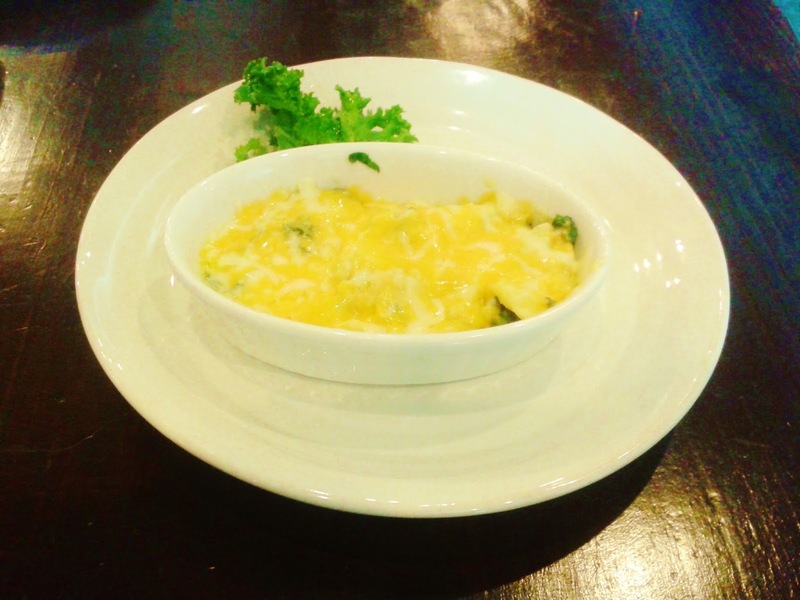 The Lobster Motoyaki consisted of lobster coated with a layer of cheese over a bed of finely chopped baby bok choy and spinach. 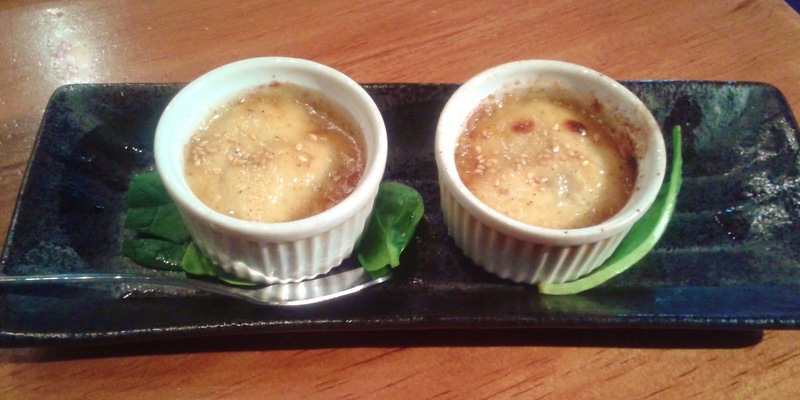 The dish itself isn't very large, but there was a significant amount of lobster in the motoyaki, and the rich taste of the cheese went well with the lobster. 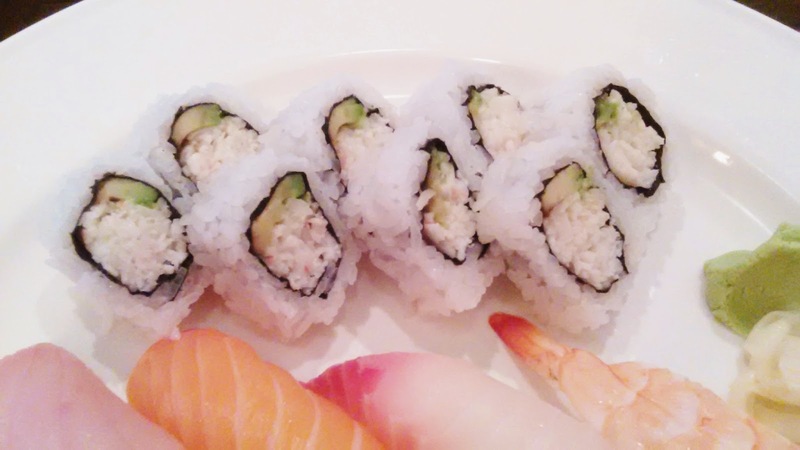 The Oh GAMI Roll consisted of 2 tempura prawns, cucumber, crab meat, seared unagi, salmon, tuna, chopped scallop, avocado, 3 kinds of tobiko and sauce. Oh Gami! That's a lot of ingredients! I liked how they made the roll into 10 pieces instead of making each piece colossal to accommodate all the ingredients. 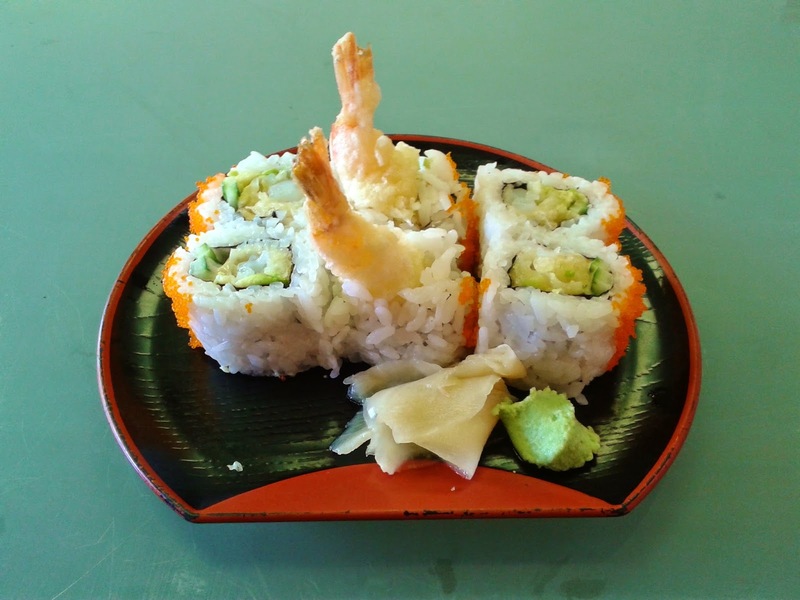 The first thing I noticed as I bit into the roll was the delightful light crunch coming from the batter of the shrimp, which I thought was just a tad overdone. 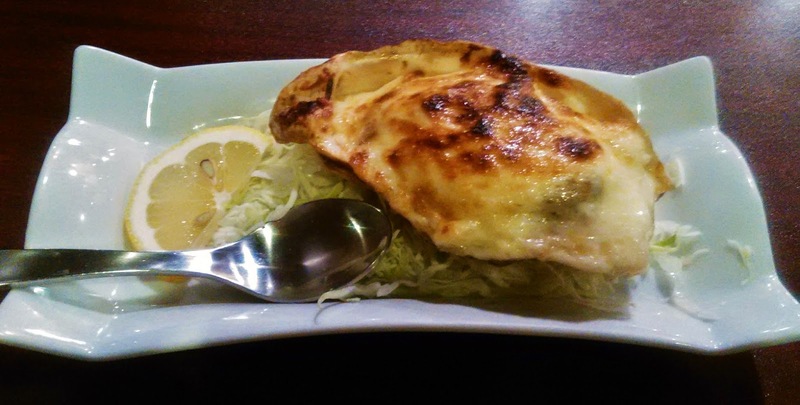 The crab meat was rich in taste and went well with the unagi sauce and mayonnaise, which worked together to create a smooth, melty texture. It would be nice if there was more of a seared taste for the various seafood on top of the roll. There was a bit too much rice compared to the amount of fish for the nigiri (it isn't supposed to be a game of how much rice you can stuff under the fish). 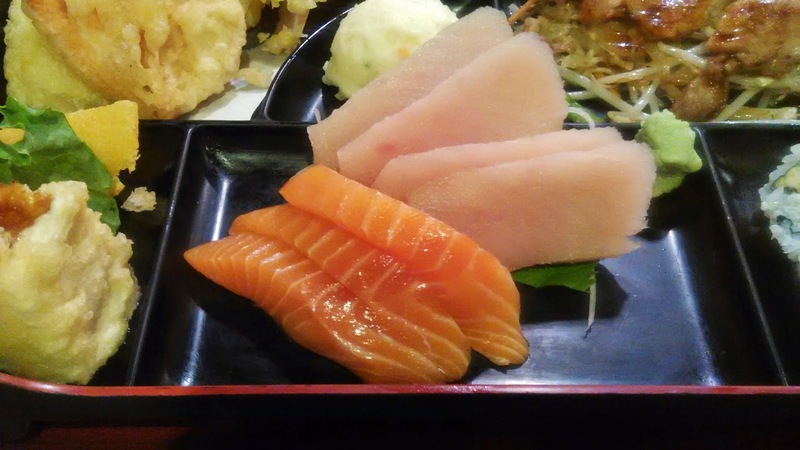 The Wild Salmon Nigiri had a rather blunt taste (it tasted a little metallic to me) but had a soft texture. 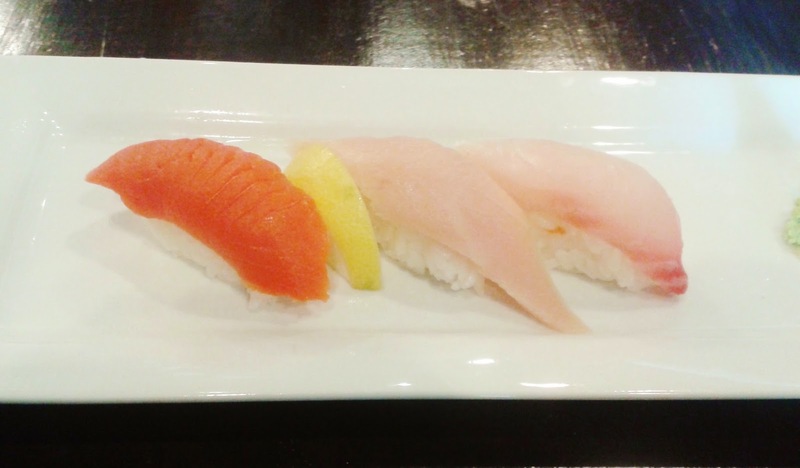 The Toro Nigiri was somehow softer on one side than the other. 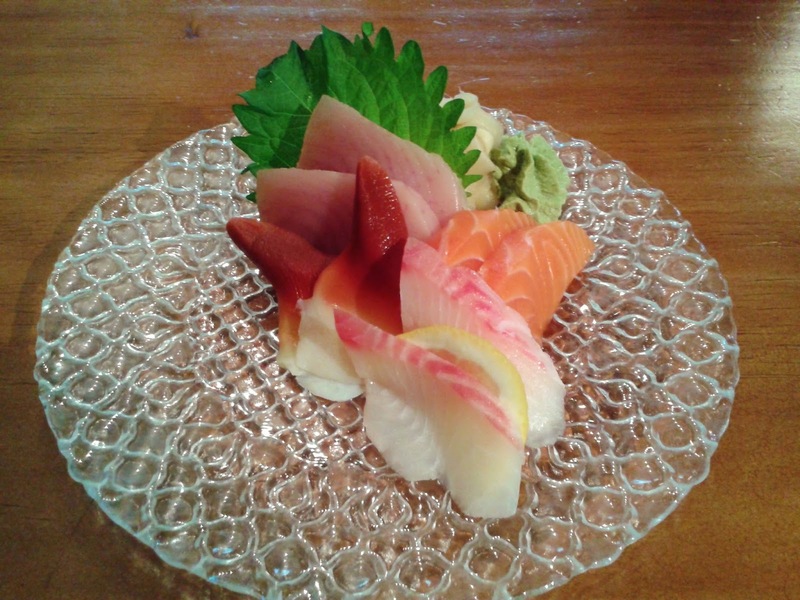 The best of all was the Tai Nigiri. 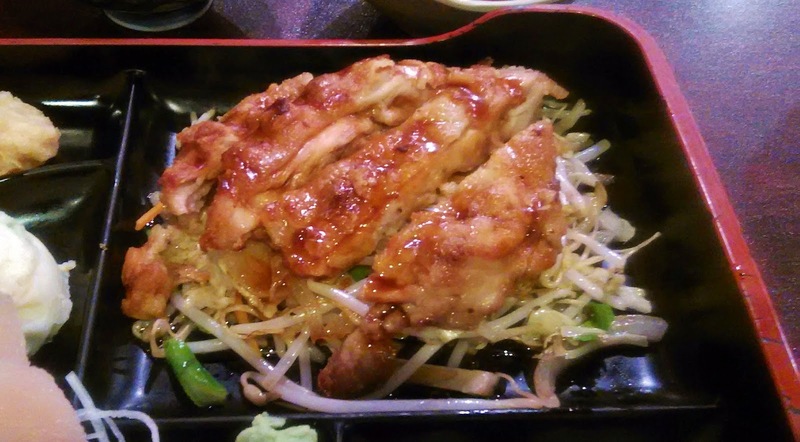 It was generous in terms of portion size, and it was cut almost as thick as the toro but it was juicy and not tough. 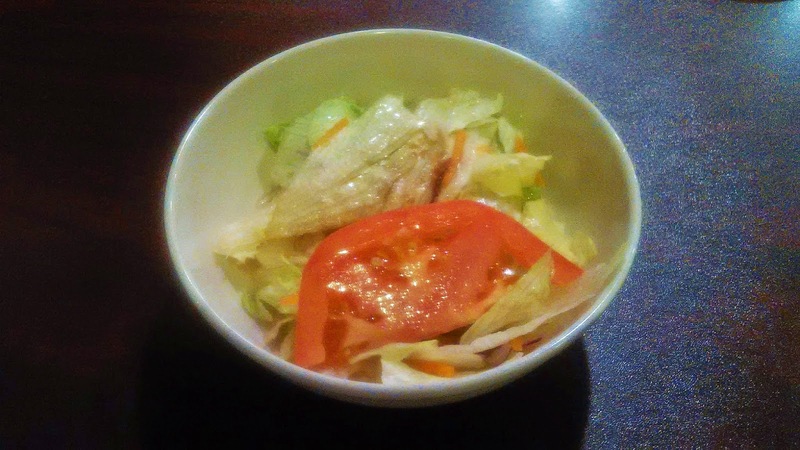 It also had a prominent mild, sweet flavour and tasted the freshest out of the three.